Talk about shooting yourself in the foot. In an attempt to crack down on piracy sites, Warner Brothers accidentally flagged its own page for removal from Google's search results. A report from Torrentfreak shows screenshots from a Digital Millennium Copyright Act (DMCA) filing that lists Warner's official site as being a piracy portal. 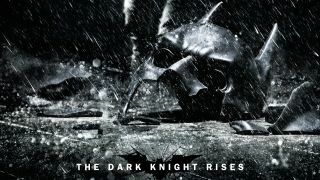 The take down requests include links to popular movies like Batman: The Dark Knight and The Matrix. In an attempt to make it harder to pirate the studio's movies, Warner Brothers inadvertently made it harder for legitimate customers to find and pay for its movies. It should be noted that Warner itself does not flag sites, but hires a third-party company called Vobile to do so on its behalf. A Google transparency report shows that Vobile has submitted over 13.5 million links for removal from search results. Other legitimate websites like Amazon and IMDB were also caught in the crossfire. Thankfully, Google caught some of the false positives for sites like Amazon, IMDB and Sky, and took no action to block them from its search results. However, it appears Warnerbros.com URLs are still under investigation. "Unfortunately these kind of errors are very common," said Torrentfreak. "A good approach would be to white-list non-infringing sources such as warnerbros.com and amazon.com - but apparently that didn't happen." Are we heading towards a second era of mass TV piracy?